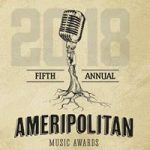 Ameripolitan Awards 2018 VOTING HAS OPENED! 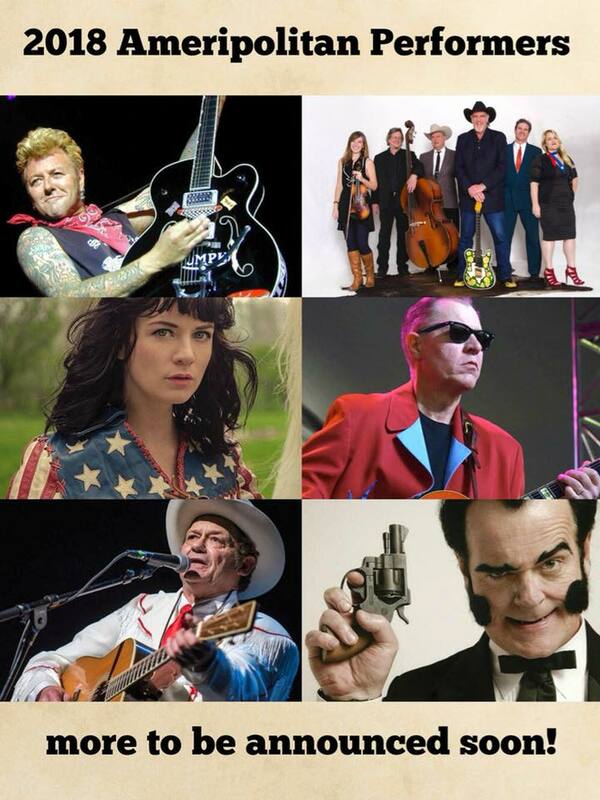 The Ameripolitan Music Awards have always been an interesting event for me out there in Texas, and finally Mr. Dale Watson has moved it to Memphis Tennessee, so I reckon I wanted to go. I contacted them and I’m VERY BLESSED to have been chosen to cover this event. Voting has NOW officially opened, and I’ll be bringing you a LOT of coverage from Memphis in 2018. This past spring I hosted a stage in Kansas City at Westport Roots Festival, and Mr. Dale Watson was one of my main acts. I learned about the move of the awards event, and made my decision to go at that time. So here I go off to the social media realm to share this event, and I’ll be updating this article weekly for you so you can keep up on what’s going on in Memphis. You can go vote HERE at any time until voting loses. The Ameripolitan Music Awards were created to benefit and acknowledge artists whose work does not readily conform to the tastes of today’s “country” or other music genres and organizations. It also provides fans with a means of finding these artists and their music. Ameripolitan – This thought provoking word is intended to be an invitation to discuss the future of the music that is important to so many of us. By leaving the hopelessly compromised word “country” behind and exclusively using the term “Ameripolitan,” our intention is to reestablish this music’s own unique identity, elevate its significance and help reinvigorate it creatively. Also, because of our place in history, we have the privilege and responsibility to pass a great musical tradition on to future generations who will otherwise have no direct connection to this music. The Ameripolitan Music Awards began in 2014 in Austin, Texas. The fifth annual event will be held in Memphis, Tenn., in February of 2018. I’ll be writing MANY articles for this event, and this one is the very first for this event. I’m going to be researching the hotels in this area, and all other forms of information. I’m going to link ALL of the choices and how to vote on YOUR favorite ones as well. YOU can click on this link HERE to purchase tickets to the event, and as SOON AS voting opens you’ll be able to research everyone to choose. 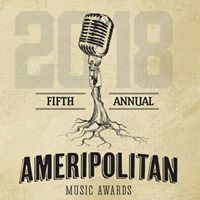 (MEMPHIS, TN) – With just two months to go until the inaugural Memphis Ameripolitan Awards weekend, more details are announced today about the packed four days of events, including showcasing artists, featured fashion, and how to cast your vote for the best in Ameripolitan music. The official Ameripolitan Awards ballot is available exclusively through Ballot Blaster Right HERE. Fans can vote online beginning Thursday through the Ballot Blaster app, available for free download in the Apple and Android stores. Fans will be able to vote once per category. The ballot will close on Jan. 11. Winners will receive their awards on Feb. 13, 2018, at the Guesthouse at Graceland during an incredible night of music featuring previously announced performers James Hand Reverend Horton Heat, Unknown Hinson, Nikki Lane and Asleep At The Wheel, plus the newest additions to the line-up: Lloyd Green, Motel Mirrors A Sun Records Tribute Featuring W.S.Holland, J.M. Van Eaton, Matthew Nelson And Gunnar Nelson, Sleepy LaBeef, The Blackwood Brothers, Big Sandy, Jason D Williams, John Paul Keith and Jerry Phillips. Showcasing artists include Whitey Morgan, James Intveld, Hillbilly Casino, Levi Dexter, Peter Sandburg of The Go Getters, Bloodshot Bill, The Greenline Travelers,Rockin’ Bonnie, Carolyn Sills Band,Whitney Rose, Sean Mencher, Josh Sorheim and more to be announced. Ameripolitan will also showcase stars on the runway, with a fashion show featuring designers including Manuel Couture, Lanksy Brothers Clothiers, Bernie Dexter, Fables by Barrie, Riley Reed, Vinyl Ranch, Ellie Monster and HBarC. Ameripolitan Award nominees will take on modeling duties and don some legendary frocks for the event, which will take place at the Guesthouse on Feb. 12. Finally, in addition to the activities at the Guesthouse at Graceland open only to Ameripolitan wristband holders, Memphians are invited to get a taste of Ameripolitan at two free, public events: Feb. 9 at Loflin Yard (pre-party and Hot Rod show hosted by Ameripolitan founder Dale Watson with Rosie Flores and other special guests) and Feb. 12 at Blues City Café on Beale Street (satellite showcases). Ameripolitan Pre-party and Hot Rod Show, 9 p.m.
Honky Tonk and Western Swing showcases, beginning 8 p.m.
Rockabilly and Outlaw showcases, beginning 8 p.m.
Ameripolitan Fashion Show, 4 p.m.
Ameripolitan satellite showcases, 9 p.m.
Tickets for the Ameripolitan Awards are available now at Ameripolitan.com. Dallas Moore At The Spillway. The Oak Ridge Boys Announce New Album in 2018.